Song written by Kate Bush. Originally released on her fifth album Hounds Of Love in 1985, it was released as the fourth and final single from the album on 28 April 1986. The song is about remembering some of the simple pleasures enjoyed as children that most no longer find the time for, such as spending the afternoon looking at the sky, watching the clouds take on shapes. 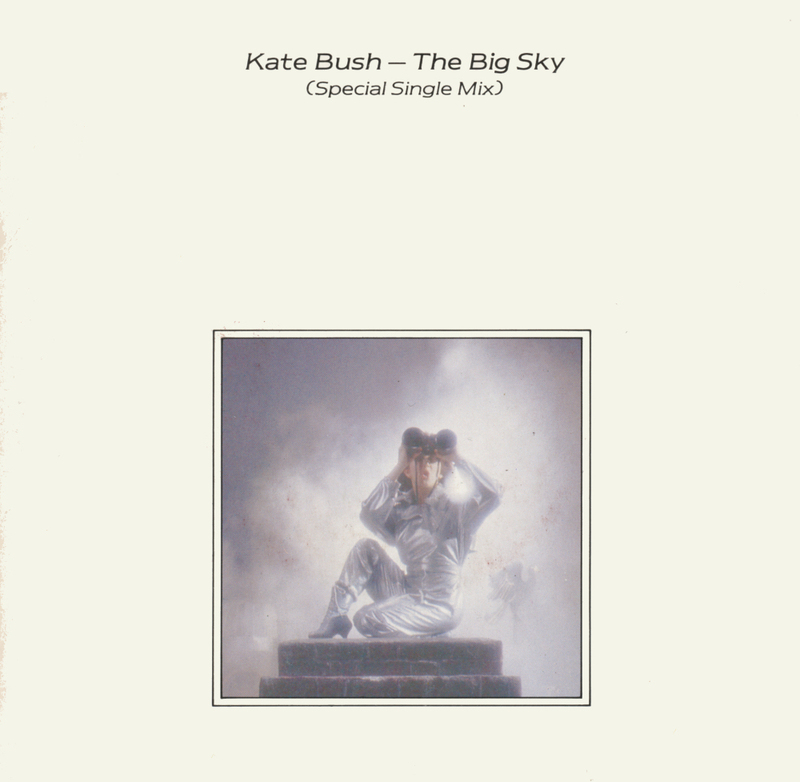 'The Big Sky' was released as a 7" single and 12" single. In the UK, the single was also released as a limited edition picture disc 7". The single featured a special single mix on the A-side and Not This Time on the B-side. The 12" single consisted of an extended remix of The Big Sky, called the Meteorological Mix, on the A-side, plus Not This Time and The Morning Fog on the B-side. In the US, the B-side consisted of the special single mix of The Big Sky plus Not This Time. There are three versions of The Big Sky: the album version, the special single mix, and the extended remix called The Meteorological Mix. The music video was directed by Bush herself. It was filmed on 19 March 1986 at Elstree Film Studios in the presence of a studio audience of about hundred fans. The Homeground fanzine was asked to get this audience together, and they did within two weeks. Two coaches took everyone from Manchester Square to Elstree studios early in the morning, after which the Homeground staff, who were cast as some of the aviators, were filmed, and finally the whole audience was admitted for the 'crowd scenes'. The scenes were repeated until Kate had them as she wanted. 'The Big Sky' has been covered by the Affordable Floors and Goodknight Productions, The Hounds Of Love and TM Collective. The Big Sky (song). Wikipedia, retrieved 3 November 2014.